The University Professional & Continuing Education Association (UPCEA), the Washington D.C.-based leading association for universities engaged in professional, continuing and online education, has elected Bethaida “Bea” González to serve as the 2013-14 UPCEA president-elect. She will serve as president in 2014-15. She is the third administrator from Syracuse University to be elected to the position. She follows D. Walter Morton, who served as president in 1937-38, and Alex N. Charters, who served in 1965-66. González has more than 30 years of experience in continuing education as well as a distinguished record of public service. She joined University College in 1984 as an academic advisor and quickly rose through the ranks. 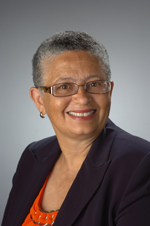 After serving as associate dean at UC, she was appointed interim dean in 2004 and as dean in 2007. In addition to being recognized with numerous awards and honors for outstanding leadership in public and community service, González has been elected to public office three times. In fall 2001, González was the first Latina to be elected president of the Common Council for the City of Syracuse. As dean of University College, González directly supervises quality programing in continuing education and summer programs. She works closely with the vice chancellor’s office, academic deans and faculty on a variety of program development initiatives directly related to the University’s effort to provide distance education, research and consultative services to employers and government agencies. González has served on and is a member of several professional organizations, including the Association of University Summer Sessions; the Education Commission of the States, New York State Representative; and the National Association of Latino Elected and Appointed Officials (NALEO). 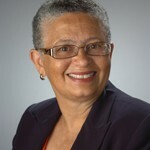 As a longstanding member of the UPCEA, González has been asked to present at many conferences/workshops, including UPCEA’s 95th Conference in San Francisco in 2009, the UPCEA Executive Committee on Diversity in Toronto in 2011 and UPCEA conferences in Harrisburg, Pa., and Vancouver, B.C.